New hard rock supergroup WORLD FIRE BRIGADE have signed to FrostByte Media to release their debut album, Spreading My Wings, worldwide on August 28th. World Fire Brigade at its core is veteran songwriting trio Brett Scallions (frontman of FUEL, as well as lead vocalist with Ray Manzarek and Robby Krieger of THE DOORS), Sean Danielsen (lead singer/guitarist of SMILE EMPTY SOUL) and Eddie Wohl (producer/mixer for ANTHRAX, ILL NINO, Smile Empty Soul, JESSE MALIN, 36 CRAZYFISTS and more). Of Spreading My Wings, Scallions commented, "This is a record filled with all emotions, songs that fall back and forth from major to minor. I love that it's a heavy record with sing-a-long melodies. You don't hear that too much in this style of music." The members of World Fire Brigade have sold upwards of 10 million albums worldwide between Fuel, Smile Empty Soul and the production work of Eddie Wohl. Originally conceived as a songwriting vehicle for delivering world-class hard rock songs to other artists, World Fire Brigade evolved into its own group when it became clear that their powerful material was meant to be performed by Scallions, Danielsen and Wohl themselves. Ken Schalk (Fuel, CANDIRIA) provides all the drums on Spreading My Wings and the album also features guest appearances by PEARL JAM's Mike McCready, Anthrax's Rob Caggiano, and Andy Andersson (Fuel, BLACK ROBOT). 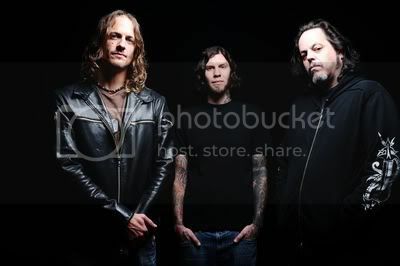 World Fire Brigade is: Brett Scallions (vocals), Sean Danielsen (vocals/lead guitar) and Eddie Wohl (keyboards).